The Don Dunstan Human Rights Oration grew out of a partnership between the late Don Dunstan and the then Australian NGO Community Aid Abroad (now Oxfam Australia). 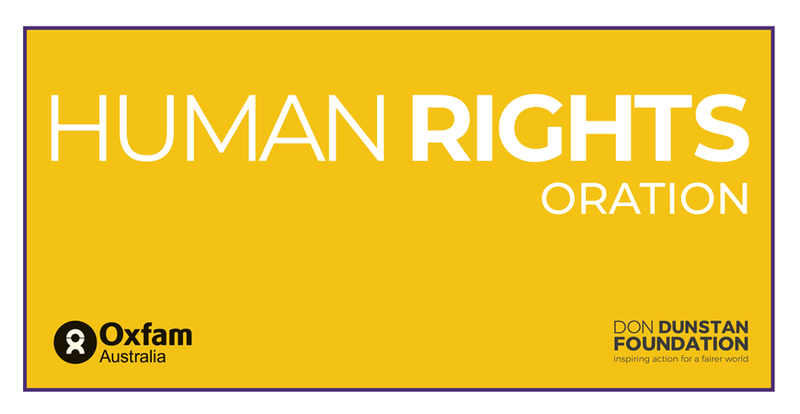 Late in 2002 the Dunstan Foundation approached Oxfam Community Aid Abroad to make the idea of an Adelaide Human Right’s Oration a reality and thus was born the Don Dunstan Human Rights Oration. The Don Dunstan Human Rights Oration is one of Adelaide’s premier public events attracting sell out crowds in 2003 and 2004 proving once again that Adelaide is unique in its standing as the city of ideas. Can the end ever justify the means? Achieving equality for Aboriginal and Torres Strait Islander peoples and the Northern Territory intervention. Ethics for one world: How ethical has Australia been as a global citizen?